In two months' time DEFCAD has garnered more than three thousand visits an hour and nearly a quarter-million downloads. What makes up the bulk of that traffic? Guns, guns, guns. Parts for guns. Accessories like suppressors. Ammo casings for NATO and Warsaw Pact small arms and rifles. Even combat munitions like hand grenades. And they all work too. Provided you've a 3D printer, the right materials and a few other items that can be bought at most any hardware store, you or anybody else can spend a nice relaxing evening or weekend putting together a small arsenal in your home office. Sorta brings whole new meaning to desktop publishing a magazine, huh? 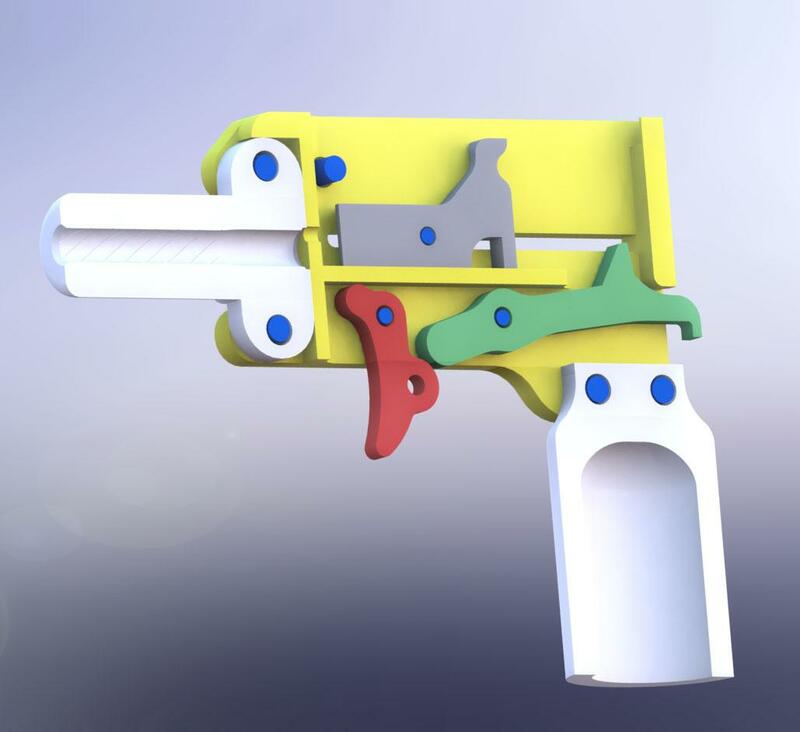 I just downloaded a .22 single-shot pistol from DEFCAD, designed by a user named "caboose". The entire ZIPped-up file was over half a megabyte. I don't possess a 3D printing setup but in the future, that will probably be a standard appliance in many homes. I may take a stab at it then, if not sooner. There's an intriguing article at Venture Beat about DEFCAD, including an interview with site founder Cody Wilson. Among other things he notes that DEFCAD is getting lots of visits from foreign countries. Might we speculate that at least some of that is from places with stringent gun control? Why smuggle in weapons for your revolution when you can just get it off the Internet? 'Course, this will probably mean that 3D printers are soon to become a restricted technology. But hey, "when 3D prototyping is outlawed..."
Does that make it a zip gun?